It’s true: all the best movies come from good books. Writers know what they are doing: they create conflict and plot and characters that readers love, and then Hollywood options the work and reaps the reward. Another reaper-of-rewards is author and Ohio native Ernest Cline. Born in Ashland, Ohio (home to a really cool hot air balloon festival every summer!) and former resident of Columbus, Mr. Cline now calls Austin, Texas, home. He owns a DeLorean which means he totally WINS and OWNS and even PWNS (if he wants to) American popular culture from the 1980s. Cline used to work at CompuServe, which was founded in Columbus in 1969. It was a ground-breaking tech communications company, and the perfect place to work if you loved tech and info and the infinite possibilities they presented. This speculative way of looking at the world found its way into Cline’s first book, Ready Player One, which was published in 2011. Columbus is there too, as the city of escape for protagonist Wade Watts. A lover of all things tech, geek, nerd, and 1980s, Cline was especially thrilled to work with the great filmmaker Stephen Spielberg, the force behind so many of our cultural touchstones. 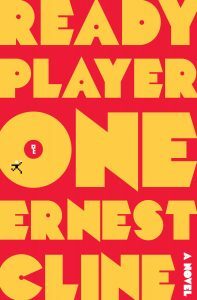 Ernie also tweets now and then and can be found on Twitter as @erniecline.